If you are doing your conversion over the winter, its nice to work out a way to work on it in comfort. This is what I did to keep the cold Montana winter out. Trying to get work done on the conversion when the weather is cold and snowy outside can be a pain. 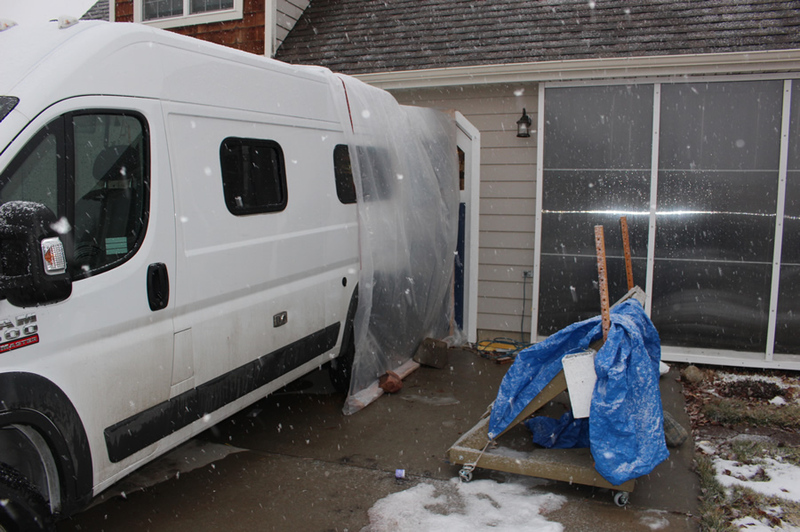 After a few cold sessions, I stumbled onto this idea of backing the ProMaster up to the shop/garage door and building a poly film tunnel between the two. With this setup, you can step back and forth from the PM to the shop without going outside at all. And, the PM can be kept warm with its furnace and the shop with its heater (or solar when the the sun is out). 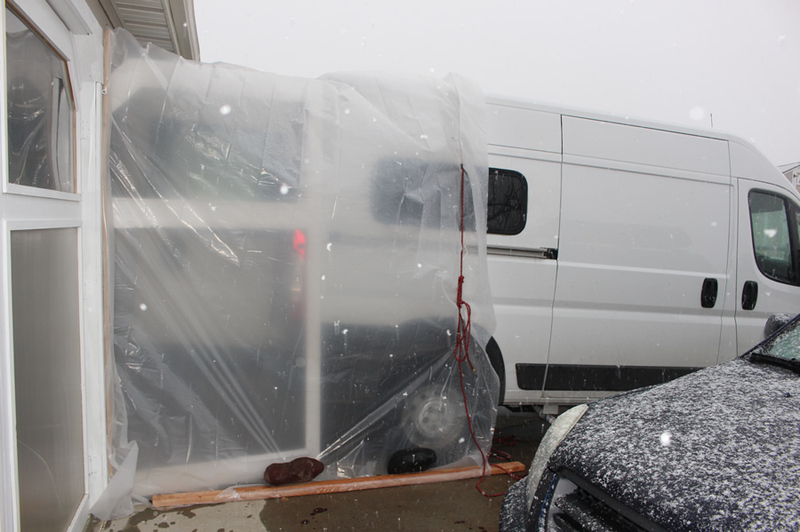 This shows the poly film tunnel between the shop solar doors and the ProMaster. The tunnel is made with 6 mil poly. Wood battens secure the poly to the garage door frame. The rope around the PM does a pretty good job of holding the poly tarp to the PM without letting too much wind get in. 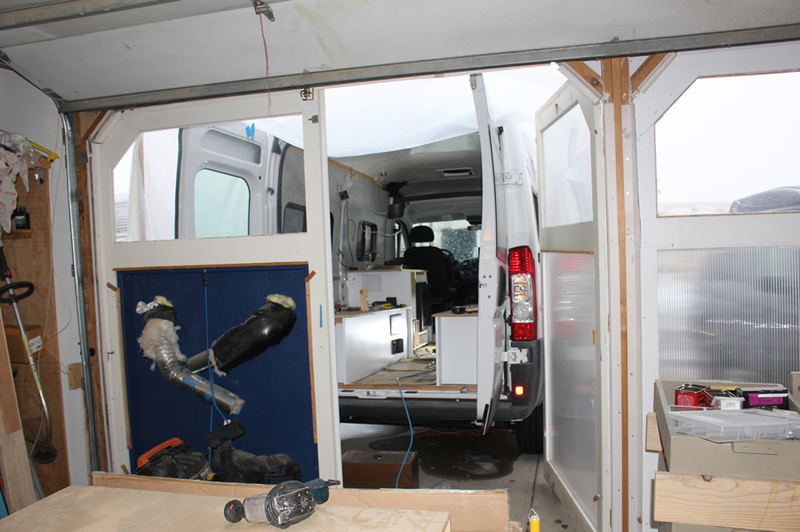 The tunnel from inside the shop looking into the ProMaster. Can’t say how nice an arrangement this is compared to having the PM parked outside the shop and having to continually go outside to get to the ProMaster — well worth the time and money to build it.